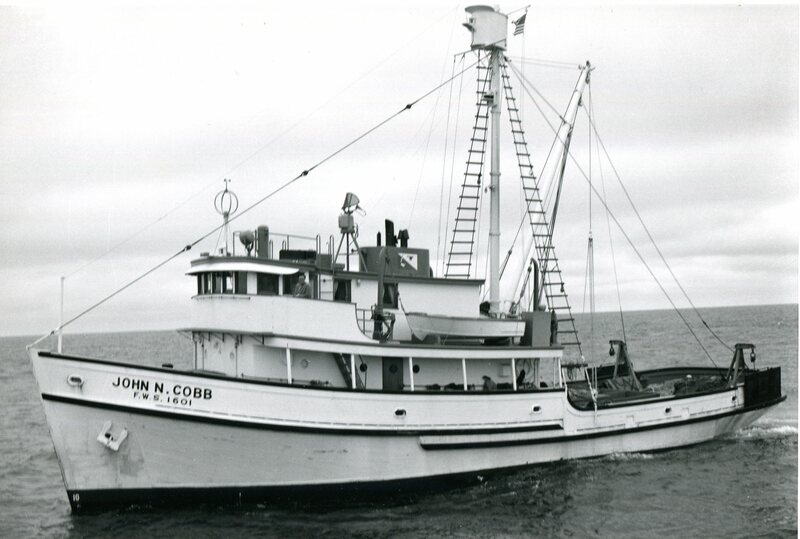 I reported to work on July 5, 1960 at the Montlake Lab’s Exploratory Fishing and Gear Research Base and was excited to go aboard and inspect its research vessel, John N. Cobb, since I had heard so much about her over my last year at the College of Fisheries. About a week later I was taken aboard by my boss, Al Pruter, the assistant director of the Base. We went down to the dock on Lake Union on a beautiful sunny day that Seattle is famous for. As we approached we could see the Cobb’s cruiser stern reflecting the sunlight off her paint and the name across the stern with F. W. S. 1601 below it. That was the numbering system that Fish and Wildlife used for their vessels. She looked as if she was just commissioned and yet had been in service for 10 years. She looked like a well-kept fishing vessel that the owners took pride in. 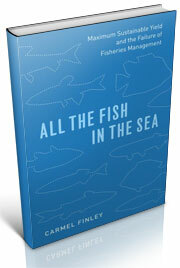 The fish deck was wide and open and was set up for trawling. 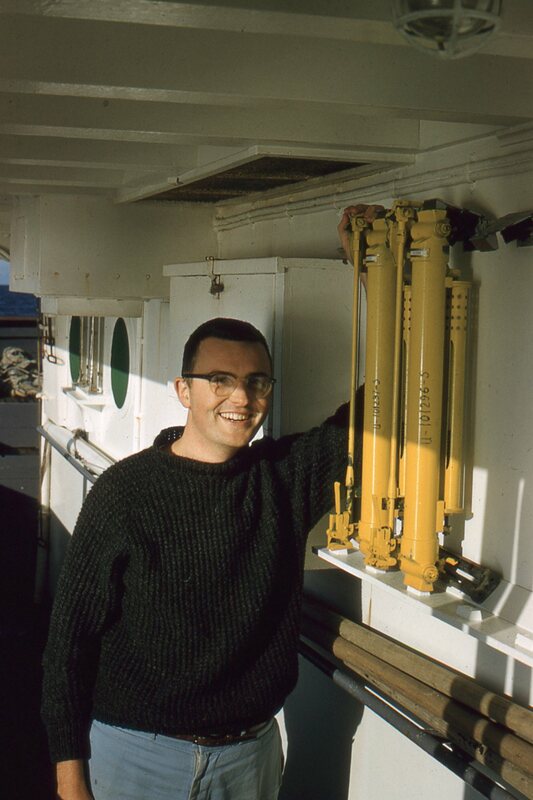 Trawl doors were stored on the outside of the rail, attached to the trawl stanchions which were bolted to the after deck. They could be removed and the deck could be set up for any other commercial fishing such as bait fishing, seining, gill netting, dredging, etc. We boarded her on the fish deck and headed for the Dutch door on the back of the house which led into the galley, the heart of the ship. The galley, as in all vessels, is the center for the crew. 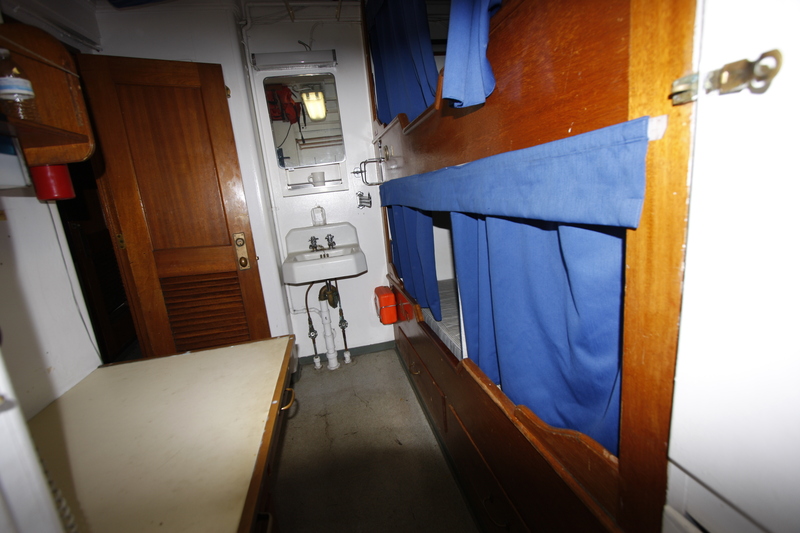 It is the place where meals are served as well as the place where crews can relax when off watch, gather for meetings and for “coffee.” Coming in from the deck there is a large table to the right and a sink on the starboard side of the galley and on the forward wall is an oil stove or range. To the left of the door are steep stairs leading down to the engine room and directly forward is a passageway going past two internal heads, a shower and two scientific staterooms, with steep stairs at the end going up to the bridge and down to the fo’c’sle. By going through the watertight door in the steel bulkhead dividing the fo’c’sle and engine room, you have internal access to all the ship’s compartments. 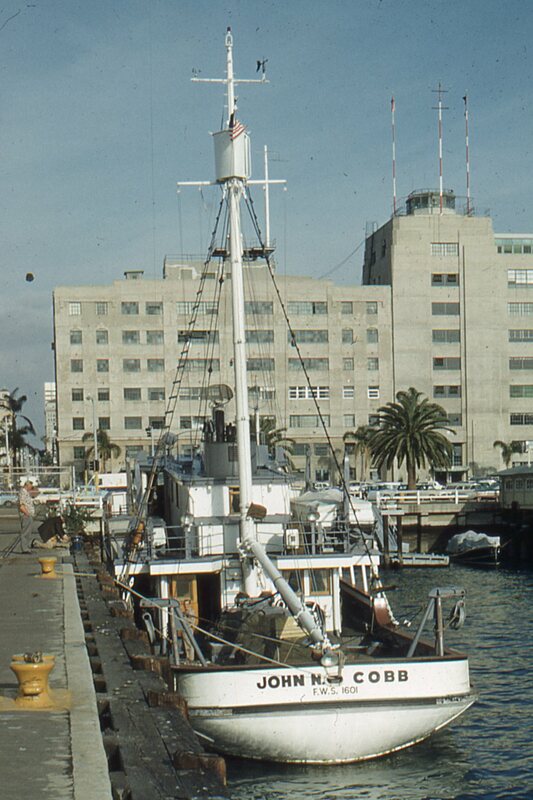 A commercial sardine seiner or combination vessel such as the Washington was designed to carry fish. Internal ladders or steps took up space, so in order to get to or from the pilothouse the crew had to go outside and use a ladder attached to the side of the house. 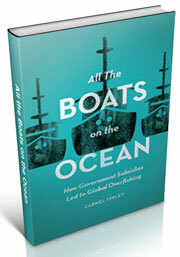 In bad weather it became a serious matter they could be trapped or washed overboard. To reach the head, which was on the aft end of the house, crew had to go out on deck. They were built that way so the toilet could be flushed with seawater, since most of the vessels built during that time had no water plumbed to the toilets. Instead there was a bucket with a rope line. You threw the bucket over the side to fill with seawater, then pulled it up and poured it into the toilet to flush. Many a fisherman was lost over the side because he had the rope wrapped around his wrist. If the vessel was moving through the water the bucket would bounce along and finally, when the lip bit into the water it filled, there would be a big jerk on the line and that could pull him overboard. At night no one would hear and he would be gone. Since the Cobb did not have to carry a large quantity of fish she was designed to carry freshwater and fuel, two important items on a vessel. There were fuel tanks aft of the freezers and smaller tanks forward of the engine room under the engineer’s stateroom, for a grand total capacity of 11,200 gallons. There were two freshwater tanks, one on each side of the main engine, and the tops of the tanks formed the engine room deck. Each tank held 3,000 gallons of freshwater, a total of 6,000 gallons, which gave the ships water for a freshwater shower greatly appreciated by the crew. Another important item was storage for charts and a table to lay one out for navigation and plotting the location of different stations. A table this size would mean losing space for a bunk for two men and, with the manpower needed to harvest fish, one can see why it was excluded in many fishing vessels. Instead they used a folded up chart in the pilot house to navigate by. On the Cobb there was space for a chart and radio-room aft of the pilot house where the stairs came up from below. It was a large table with drawers underneath for charts. I became familiar with the area, recording the location of the stations plotted by the skipper along with recording sea temperature and length of tow, etc. The computer has made the chart table obsolete and everything is now recorded digitally. I would become familiar with the fishing deck where the fish were landed as well as with the fish hole, where there was space for a lab and two freezers. We used the freezers to take back biological samples for additional study of unknown specimens as well as “home pack” fish for the families. The freezer space and fish hole had changed from what was originally built. 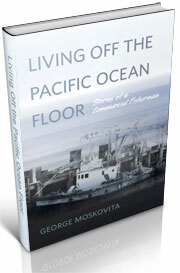 In 1959, prior to the scheduled departure in April for the Atomic Energy Commission (AEC) exploratory cruise # 42 to the Chukchi Sea, a catastrophe occurred. The project was a special cruise on which the Cobb was assigned the task to determine what animals were living in this remote area north of the Bering Sea. An atomic bomb was to be set off near the coast so a harbor could be made out of the crater. During the routine shipyard period in the late winter of 1959 the Cobb was at the yard. One of the crew, Joe Dunatov, was scraping the side of the hull for painting when his scraper went through into a void and it was discovered that there was extensive dry rot extending around the freezer. You can image the excitement, especially for Lee Alverson, the new Director of the unit. 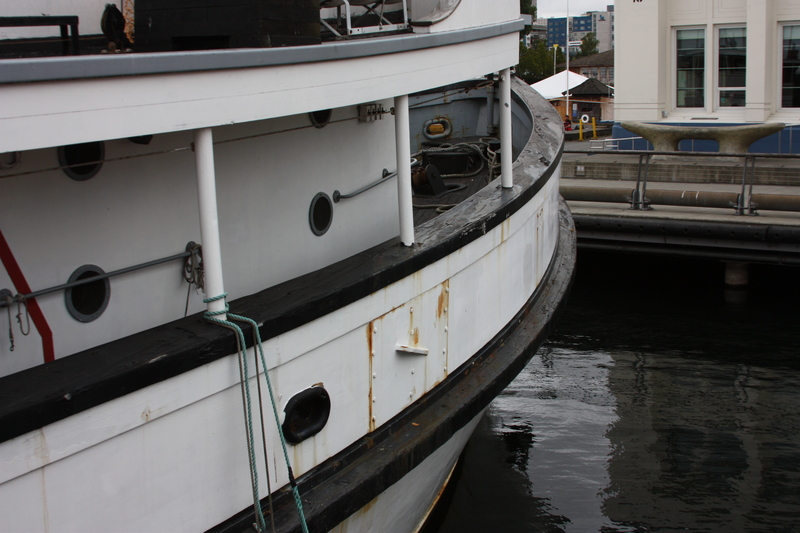 The shipyard had to replace a number of ribs and planking around the hull. I remember seeing the Cobb out of the water, where you could look straight through her to the other side as the ribs were being replaced. When the repairs were completed, the freezers modified and a lab installed in the hole the vessel departed for the Chukchi Sea. 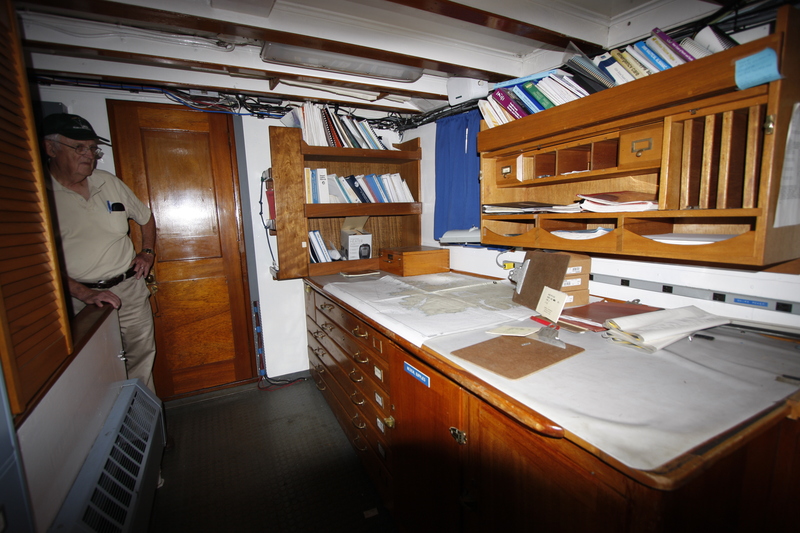 The scientific stateroom became part of my life and once I became the chief scientist, the desk became important, a place where I could pull all the information together, make sure the forms were filled out properly and the notebooks for the trip were kept up. Al Pruter had each of the chief scientists keep a personal log of their activities and I now have access to these logs, which help bring back memories of 50 years ago. The other important place was the bunk, the only private place one could get away from everyone else by pulling the curtains shut. I as well as other biologists who did work on the Cobb benefited from the design team at W. C. Nickum and Sons, Naval Architects of Seattle. They formed an ideal design of a fisheries research vessel from the experience gained during the first exploratory trip of the Washington. While there were other changes made to the vessel during the 60’s while I was aboard, this was the conformation of the Cobb when I went on my first trip, which was the second half of Exploratory Cruise # 47 a bottom fish trip to British Columbia Canada from Aug 15 to Sept. 9, 1960 with Al Pruter as the Chief Scientist. 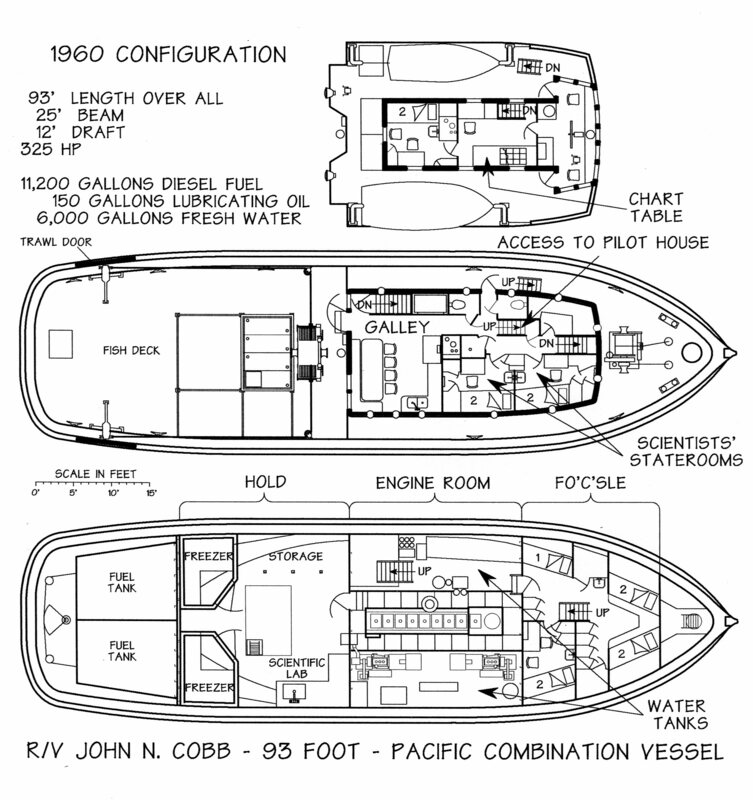 This entry was posted in Environmental History, Exploratory Fishing Base, fisheries science, History of Science, Maritime History, Pacific Fishing History Project, R/V John N. Cobb and tagged John N. Cobb, research vessel. Bookmark the permalink.